When an eleven-year-old boy is found murdered in a town park, reliable eyewitnesses undeniably point to the town’s popular Little League coach, Terry Maitland, as the culprit. DNA evidence and fingerprints confirm the crime was committed by this well-loved family man. Horrified by the brutal killing, Detective Ralph Anderson, whose own son was once coached by Maitland, orders the suspect to be arrested in a public spectacle. But Maitland has an alibi. And further research confirms he was indeed out of town that day. As Anderson and the District Attorney trace the clues, the investigation expands from Ohio to Texas. And as horrifying answers begin to emerge, so King’s propulsive story of almost unbearable suspense kicks into high gear. Terry Maitland seems like a nice guy but there is one rock-hard fact, as unassailable as gravity: a man cannot be in two places at the same time. Can he? 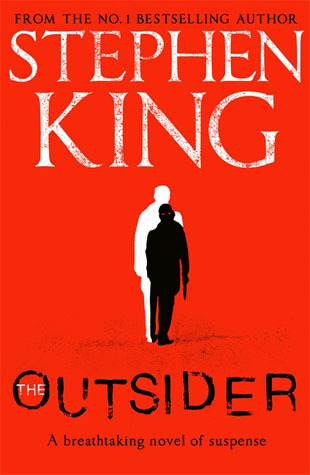 The Outsider by Stephen King starts with the horrific murder of a young boy, seemingly at the hands of the local Little League coach, Terry Maitland. The abundant forensic evidence and eyewitness accounts are enough to convince the police that they have their culprit, but when incontrovertible proof meets ironclad alibi it becomes clear that everything is not as it seems. Initially The Outsider seems like a pretty standard crime thriller, but just as the case is set to go to court it takes a decidedly dark turn and heads in a completely different direction than I thought. Something otherworldly is at work and the murder investigation morphs into a hunt for a mythological monster hiding in the shadows of perception and feasting on the fear and pain it inflicts. Roughly midway through the novel there is a sudden and unexpected cross-over with the Bill Hodges trilogy as Holly Gibney, a private investigator and major character from that series, is called in to assist. (Having not yet finished the Bill Hodges trilogy there were some major spoilers, so if you haven’t finished the trilogy be warned!). The investigating officer, Detective Anderson, clings to his belief in facts and empirical truth as he struggles to reconcile his beliefs with the existence of the supernatural. Holly, with all she has gone through, is the one that already knows that the supernatural is real and has to convince the others in order to prevent another child being murdered. While I enjoyed Holly as character she completely overshadows the rest of the characters, in fact this might as well have been another instalment in the Bill Hodges series as Detective Anderson and the rest of the cast are relegated to supporting characters as soon as Holly arrives on the scene, making them somewhat disposable and redundant. True to Stephen King’s style of drawing and colouring outside the borders the writing draws you in with a vivid sense of place and King compels you to care not only for the main characters, but also for those on the periphery as the aftermath of tragedy and loss ripple through the families and the community at large. This comes at a cost though. 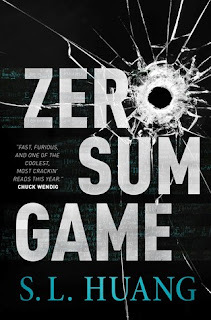 The pacing can be uneven and lags midway as things get bogged down, but then it picks up again as events are drawn to a claustrophobic, bloody conclusion. The ending is satisfying and definitely makes the journey well worth it. King can still bring the chills, and then some! The Outsider has a frighteningly fascinating premise that blends reality with the supernatural. Stephen King manages to still surprise and captivate with unexpected twists and turns. Despite some pacing issues this is still a very good read. Just be warned that you might want to finish the Bill Hodges Trilogy first before tackling this one to avoid spoilers. Recommended! Thanks to Charlene from Jonathan Ball Publishers for the review copy. In brief, then, human history can be split into two parts: the period occurring before the destruction of all life on Earth in the year 2235 C.E., and that following those terrible, final days. 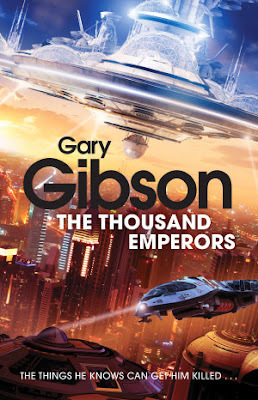 Archivist Luc Gabion has finally achieved his life's goal - of bringing down Winchell Antonov, head of the Black Lotus terrorist organisation, and the scourge of the Tian Di's stellar empire for countless years. But instead of feeling victorious, the encounter has left him scarred. Forcibly implanted with a technology far in advance of anything he's encountered before, Luc sees and hears things he knows he's not supposed to. Worse, the technology is killing him, slowly. So when he finds himself investigating the murder of one of the Tian Di's ruling clique, the Thousand Emperors, he knows he's in real trouble. Any one of them could be the killer, and any one of them could have him put to death on a whim. Worse, the dead man is the architect of the coming Reunification: two great civilisations, separated for centuries by old enmities, are about to reunite in a new age of peace and prosperity. But it soon becomes clear that someone out there is willing to do anything to make sure that day never comes. 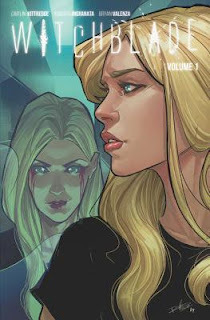 Gunned down and left for dead on a New York rooftop, Alex Underwood's life should have ended there-but instead, at the moment of death, she became host to the Witchblade, a mystical artifact that grants the woman wielding it extraordinary powers. But the power comes with a heavy cost, and Alex finds herself thrust into the center of an unseen battle raging on the snowy streets of NYC. Demons are real and walking among humans, and every one of them is intent on taking out the Witchblade's newest host before she becomes too strong to kill. But the artifact chose Alex for a reason, and she's not going down without a fight. My introduction to the Witchblade franchise came, not through the comics, but through the TV series from 2001 starring actress Yancy Butler. I was intrigued by the magical armor and the concept of the show and it has stuck with me since then. When I saw that a new reboot for the Witchblade comics was in the works I just had to give them a try. The Witchblade reboot focuses on an entirely new protagonist, Alex Underwood, as she struggles with her own traumatic past while coming to grips with the fact that she is now the new vessel of the Witchblade, a mystical artifact that grants extraordinary powers to the woman that wields it. Dark forces are at work and with her newfound abilities still in their infancy she becomes a prime target. The narrative is compelling and draws you in, but the various flashbacks can be jarring and there are times where it felt that the continuity was somewhat off. Alex meets a mysterious man who acts as a guiding figure to her, he never introduces himself, yet in later panels she somehow calls him by name. You get flashbacks showcasing bits of Witchblade history, but you never get to know how Alex actually came to possess the artifact. The artwork is stunning and has a dark, gritty vibe to it with vibrant colours adding a dash of visual magic. The facial features of some of the characters can be indistinct, making it difficult to differentiate between some of the male characters. My major complaint is that the battle scenes lacked depth. Every conflict seemed to be resolved through magic without much real action taking place - whoosh, magic happens and the bad guy is defeated. The armor lacks detail and definition. Despite the issues there's a lot to like here. 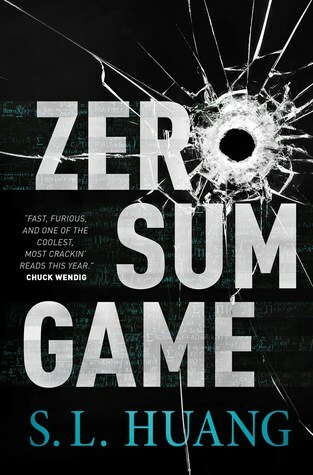 I got a real kick from the ending - a veritable declaration of war! 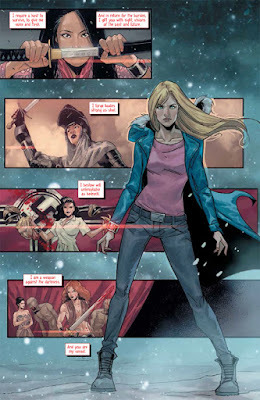 While I enjoyed reading Witchblade Vol 1, I felt that the story and artwork lacked detail and depth at times. 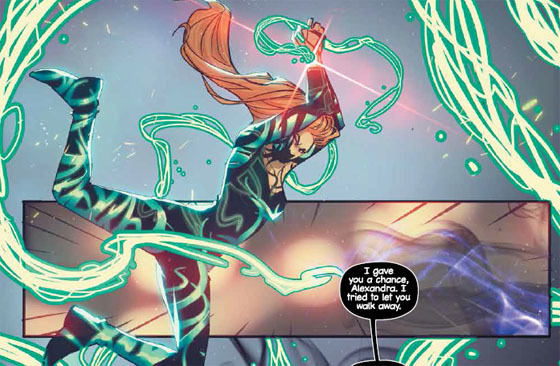 I would have loved to have seen more Witchblade lore being revealed and the Witchblade itself being more of a focal point. The reboot certainly has promise and it will be interesting to see where the all-female creative team takes it next. 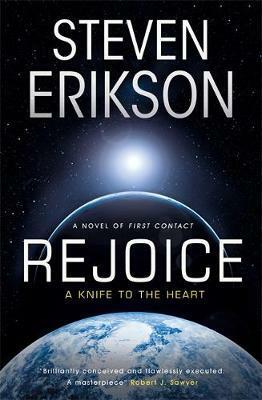 A hidden corner of space is swarming with lethal alien technology, a danger to all sentient life. It’s guarded by Orlandine, who must keep it contained at any cost – as it has the power to destroy entire civilizations. She schemes from her state-of-the-art weapons station, with only an alien intelligence to share her vigil. But she doesn’t share everything with Dragon . . .
Orlandine is hatching a plan to obliterate this technology, removing its threat forever. For some will do anything to exploit this ancient weaponry, created by a long-dead race called the Jain. This includes activating a Jain super-soldier, which may breach even Orlandine’s defences. Meanwhile, humanity and the alien prador empire keep a careful watch over this sector of space, as neither can allow the other to claim its power. However, things are about to change. The Jain might not be as dead as they seemed – and interstellar war is just a heartbeat away. 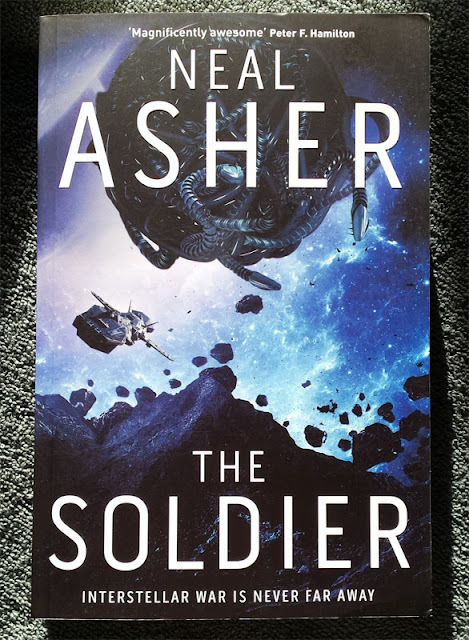 The Soldier by Neal Asher is a mind-blowing start to the Rise of the Jain trilogy. Set in the expansive Polity universe many familiar characters make a welcome return. The focus this time around is on Orlandine and the enigmatic alien entity called Dragon as they stand guard against a threat that might very well destroy all sentient life. Long time readers know that wherever Dragon is involved things are bound to get interesting in the most chaotic of ways. And boy does it ever! Neal Asher takes all the best elements from the Polity universe and weaves them together into a narrative that makes it feel as if everything that came before was only meant to set up the groundwork for this moment. 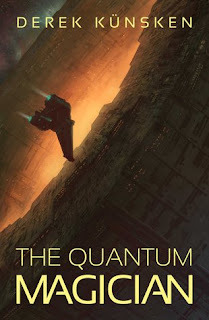 Fans of the Polity universe will find everything they adore - incredible technology, weird alien creatures, sarcastic AI drones, gigantic space battles and the fate of the entire universe hanging in the balance. Asher even manages to expand on the back-story of the Polity in some truly surprising ways, with far-reaching implications in the current conflict, making it hard to believe that everything wasn't meticulously planned from the very start. While newcomers will be able to follow most of what happens thanks to an extensive glossary and ample recounting of prior events, The Soldier is best experienced if you are familiar with the previous novels set in the universe otherwise you will deprive yourself from seeing how masterfully all the threads laid down throughout the prior series are brought to fruition. The characters are engaging and you can't help but feel sympathy for them as they each struggle to reconcile with their own unique nature and identity. The addition of some snarky battle drones provide a lighter touch and The Client introduces a whole new element to the story as it goes in search of its own forbidden history. The last third of the novel sent my adrenaline levels through the roof. I devoured the pages at a blistering pace as beloved characters faced dire peril and unexpected revelations changed the entire dynamic of events up to the very last page. This is one heck of a start to the trilogy, I'm not even sure how the rest of the books will be able to top this, but I can't wait to find out! Just when you thought the Polity couldn't get more interesting Neal Asher manages to weave the most awe-inspiring elements of his universe together into an amazing narrative brimming with awesome technology, vast space battles, gigantic explosions and intricate machinations that are terrifying in their scope. This simply tops everything that has come before. Like a true master Asher hits this one out of the galactic plane and it's difficult to believe everything in the Polity universe wasn't plotted out from the very start to bring us to this very point. 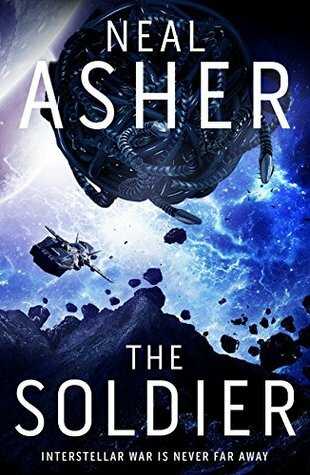 The Soldier is a truly mind-blowing start to a new trilogy and I definitely can't wait to see what happens next. Highly recommended! Thanks to Pan Macmillan S.A. for providing the review copy. Comic: A serialised story told in sequential graphical form. Single Issue: A single installment of a serialised comic. Often published monthly. If you always want to be up to date with the latest events in the story then this is the way to go. 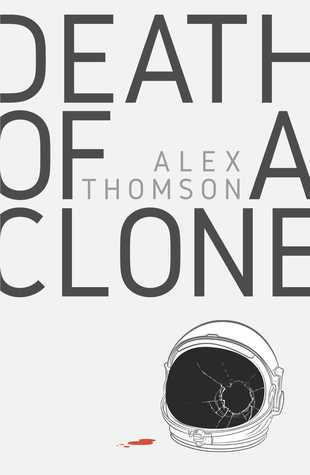 Graphic novel: A single standalone story in book length. Graphic novels have never appeared in serialised form as single issues. 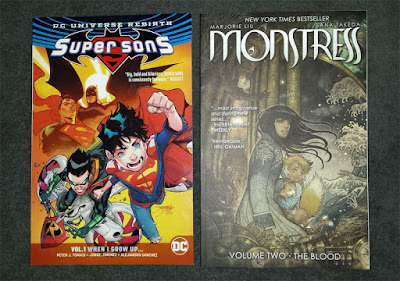 Digital comics: As you would expect it's the digital version of a comic and, as with their physical counterparts, they are available in both single issues, trades and omnibus editions. One of the most popular retailers of digital comics is Comixology. Digital comics can be read on PC or on tablets as well as some ereaders (if you don't mind sticking to greyscale images). Now that we have the basics down, onward! 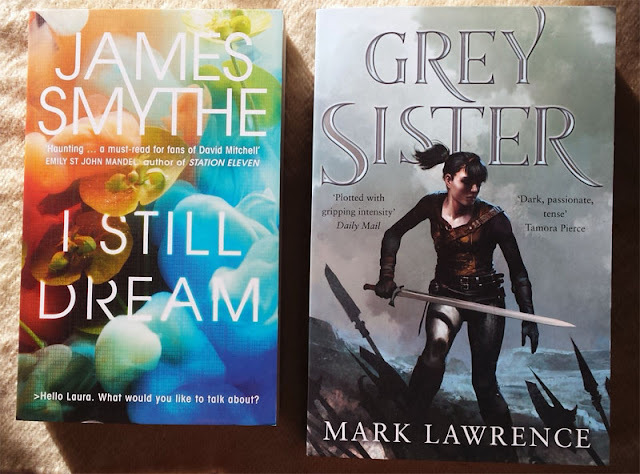 Continuing on from my most anticipated science fiction and fantasy releases of 2018 here are 15 more anticipated releases covering the second half of the year. Did I miss any? It was not his war. The galaxy remembers him as a hero: the man who burned every last alien Cielcin from the sky. They remember him as a monster: the devil who destroyed a sun, casually annihilating four billion human lives--even the Emperor himself--against Imperial orders. But Hadrian was not a hero. He was not a monster. He was not even a soldier. On the wrong planet, at the right time, for the best reasons, Hadrian Marlowe starts down a path that can only end in fire. He flees his father and a future as a torturer only to be left stranded on a strange, backwater world. 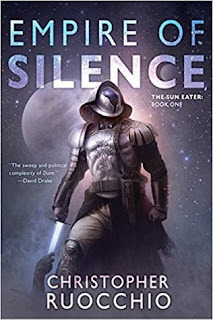 Forced to fight as a gladiator and navigate the intrigues of a foreign planetary court, Hadrian must fight a war he did not start, for an Empire he does not love, against an enemy he will never understand. Life in space is hard, lonely and the only person you can rely on is yourself. Whether you’re living deep in the gravity well of humanity’s watery home, mucking out air vents in a city floating high in the clouds of Jupiter, or re-checking the filtration system on some isolated space station, life is hard and demanding, and life is small. The stories of Infinity’s End are set in those empty spaces, in futures where planets have been disassembled and reused for parts, or terraformed and settled; where civilisations have risen and fallen; where far future people make their lives anywhere from colonies hanging in the clouds of Neptune or Venus to the repurposed cores of distant asteroids; on worldlets and asteroids, inside Saturn’s rings or distant spheres and wheels, on-board ships trucking from home to home, and port to port. They're set in a future that's lived in. And they make it clear that even if we never leave the Solar System, there's life enough and room enough to live out all of science fiction's dreams. The Overseers may call it Hell, but for Leila and the other clones, the mining base on asteroid Mizushima-00109 is the only home they’ve ever known. But then Leila’s sister Lily is murdered, and the Overseers seem less interested in solving the crime than in making their mining quota and returning to Earth. Leila decides to find the murderer, just like the heroes of her old detective novels would. But Hell is a place of terrible secrets, and a love of cozy mysteries may not be enough to keep Leila from ending up like her sister. 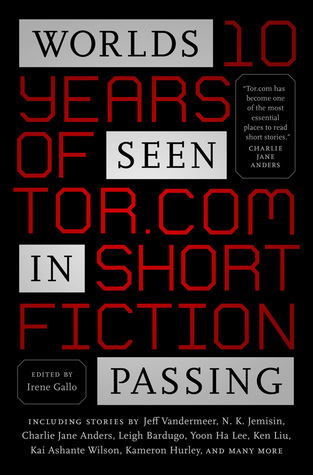 Since it began in 2008 Tor.com has explored countless new worlds of fiction, delving into possible and impossible futures, alternate and intriguing pasts, and realms of fantasy previously unexplored. 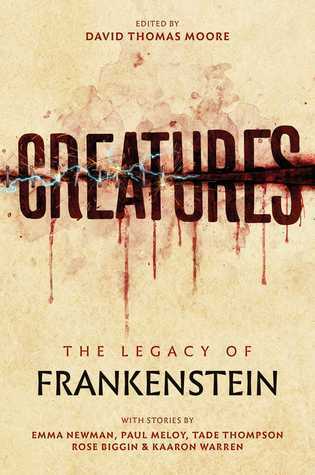 Its hundreds of remarkable stories span from science fiction to fantasy to horror, and everything in between. 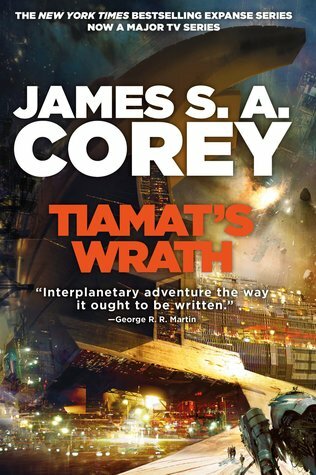 Now Tor.com is making some of those worlds available for the first time in print. This volume collects some of the best short stories Tor.com has to offer, with Hugo and Nebula Award-winning short stories and novelettes chosen from all ten years of the program. Including stories by: Charlie Jane Anders, N. K. Jemisin, Leigh Bardugo, Jeff VanderMeer, Yoon Ha Lee, Carrie Vaughn, Ken Liu, Kai Ashante Wilson, Kameron Hurley, Seth Dickinson, Rachel Swirsky, Laurie Penny, Alyssa Wong, Kij Johnson, David D. Levine, Genevieve Valentine, Max Gladstone, and many others. 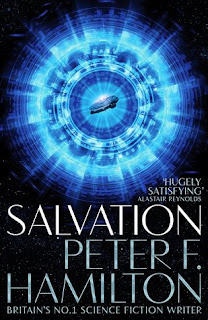 An alien shipwreck is discovered on a planet at the very limits of human expansion - so Security Director Feriton Kayne selects a team to investigate. The ship's sinister cargo not only raises bewildering questions, but could also foreshadow humanity's extinction. It will be up to the team to bring back answers, and the consequences of this voyage will change everything. Back on Earth, we can now make deserts bloom and extend lifespans indefinitely, so humanity seems invulnerable. We therefore welcomed the Olyix to Earth when they contacted us. They needed fuel for their pilgrimage across the galaxy - and in exchange they helped us advance our technology. But were the Olyix a blessing or a curse? Many lightyears from Earth, Dellian and his clan of genetically engineered soldiers are raised with one goal. They must confront and destroy their ancient adversary. The enemy caused mankind to flee across the galaxy and they hunt us still. If they aren't stopped, we will be wiped out - and we're running out of time. It's been seven years since the end of the Naxid War. Sidelined for their unorthodox tactics by a rigid, tradition-bound military establishment, Captain Gareth Martinez and Captain the Lady Sula are stewing in exile, frustrated and impatient to exercise the effective and lethal skills they were born to use in fighting the enemy. Yet after the ramshackle empire left by the Shaa conquerors is shaken by a series of hammer blows that threaten the foundations of the commonwealth, the result is a war that no one planned, no one expected, and no one knows how to end. Balisarius is a quantum man, an engineered human gifted with impossible insight. But his gift is also a curse-a constant, overwhelming flood of sensation. He flees his creators to try and live a normal life. 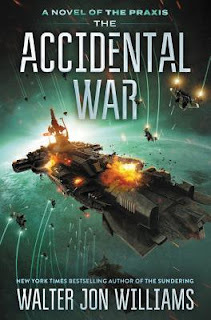 But when a client offers him untold wealth to move a squadron of warships across an enemy wormhole Belisarius must embrace his true nature to pull off the job, along with a whole crew of extraordinary men and women. 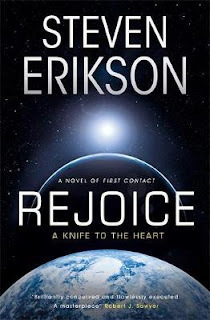 If he succeeds, he could trigger an interstellar war...or the next step in human evolution. Cas Russell is good at math. Scary good. The vector calculus blazing through her head lets her smash through armed men twice her size and dodge every bullet in a gunfight. She can take any job for the right price and shoot anyone who gets in her way. As far as she knows, she’s the only person around with a superpower...but then Cas discovers someone with a power even more dangerous than her own. Someone who can reach directly into people’s minds and twist their brains into Moebius strips. Someone intent on becoming the world’s puppet master. Cas should run, like she usually does, but for once she's involved. There’s only one problem: She doesn’t know which of her thoughts are her own anymore. 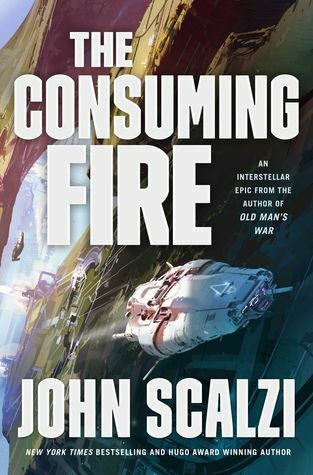 The second, thrilling novel in the bestselling Interdependency series, from Hugo Award-winning author John Scalzi. The Interdependency, humanity’s interstellar empire, is on the verge of collapse. The Flow, the extra-dimensional conduit that makes travel between the stars possible, is disappearing, leaving entire star systems stranded. When it goes, human civilization may go with it—unless desperate measures can be taken. Emperox Grayland II, the leader of the Interdependency, is ready to take those measures to help ensure the survival of billions. But nothing is ever that easy. Arrayed before her are those who believe the collapse of the Flow is a myth—or at the very least, an opportunity that can allow them to ascend to power. While Grayland prepares for disaster, others are preparing for a civil war, a war that will take place in the halls of power, the markets of business, and the altars of worship as much as it will take place between spaceships and battlefields. The Emperox and her allies are smart and resourceful, but so are her enemies. Nothing about this power struggle will be simple or easy... and all of humanity will be caught in its widening gyre. 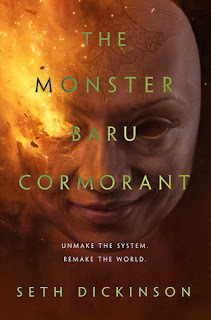 Even more sweeping and heart-wrenching than its 2015 prequel, The Monster Baru Cormorant is the epic follow-up to the critically acclaimed The Traitor Baru Cormorant, which made it onto no fewer than 17 Best-of-the-Year lists. Baru Cormormant's world was shattered by the Empire of Masks. To exact her revenge, she has clawed her way up razor-edged rungs of betrayal, sacrifice, and compromise, becoming the very thing she seeks to destroy. Unable to trust anyone and pursued across the ocean by enemies determined to punish her for her treachery, Baru now seeks the key the starting a war that will either rip apart the Masquerade once and for all, or the world itself...and with it, all that remains of her soul. An alien AI has been sent to the solar system as representative of three advanced species. 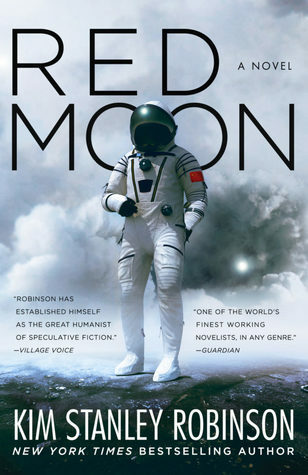 Its mission is to save the Earth's ecosystem - and the biggest threat to that is humanity. But we are also part of the system, so the AI must make a choice. 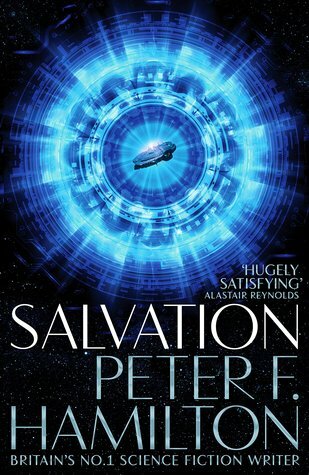 Should it save mankind or wipe it out? Are we worth it? The AI is all-powerful, and might as well be a god. So it sets up some conditions. Violence is now impossible. Large-scale destruction of natural resources is impossible. Food and water will be provided for those who really, truly need them. You can't even bully someone on the internet any more. The old way of doing things is gone. But a certain thin-skinned US president, among others, is still wedded to late-stage capitalism. Can we adapt? Can we prove ourselves worthy? And are we prepared to give up free will for a world without violence? And above it all, on a hidden spaceship, one woman watches. A science fiction writer, she was abducted from the middle of the street in broad daylight. She is the only person the AI will talk to. And she must make a decision. At the heart of the empire, Teresa Duarte prepares to take on the burden of her father's godlike ambition. The sociopathic scientist Paolo Cortázar and the Mephistophelian prisoner James Holden are only two of the dangers in a palace thick with intrigue, but Teresa has a mind of her own and secrets even her father the emperor doesn't guess. It all started around the middle of last year when I suddenly had this vivid memory of a graphic novel/comic I owned as a teen. The only thing I could remember was this image of a kid with a yo-yo which somehow turned into an owl (the yo-yo, not the kid!). For the life of me I couldn't remember the title. My copy must have gotten lost when we moved since, after an extensive (and I mean EXTENSIVE) search I couldn't find it. The whole thing nagged at me. My OCD brain just wouldn't give it a rest until a) I found out what it was and b) I could get a copy again. Internet to the rescue! A desperate plea on Twitter resulted in the revelation that the comic in question was in fact The Books of Magic written by Neil Gaiman. Thankfully it was still in print and I managed to track down a copy again which sated my brain's desires and allowed me to once again get a peaceful night's rest. 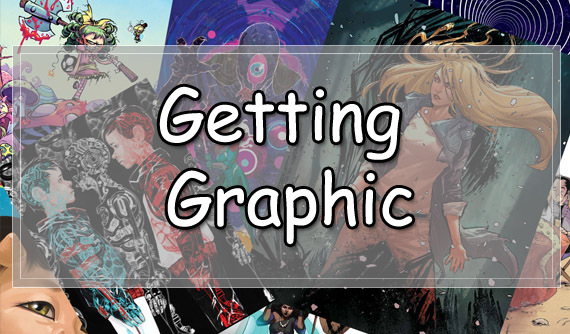 This whole episode sparked a newfound interest in comics/graphic novels and prompted me to test the waters to see if this whole comic thing is for me. Growing up I didn't have access to any comics aside from those trusted staples of libraries everywhere - Astrix and Tintin (technically both are graphic novels if I understand the jargon right) and the aforementioned Books of Magic which, if memory serves, I received as a gift from someone. So with this very limited background I'm going to start a journey of exploration into the graphic side of things. Comics are extremely expensive over here in South Africa and availability can be quite limited too. I can't just pop into a local comic shop and see what's on offer. My only avenue is ordering online and since I can't try before I buy it complicates matters quite a bit. Since this is a visual medium there are certain styles that just doesn't appeal to me. Digital comics are an option, but to really experience them as intended I think physical editions would be the ideal way to go. 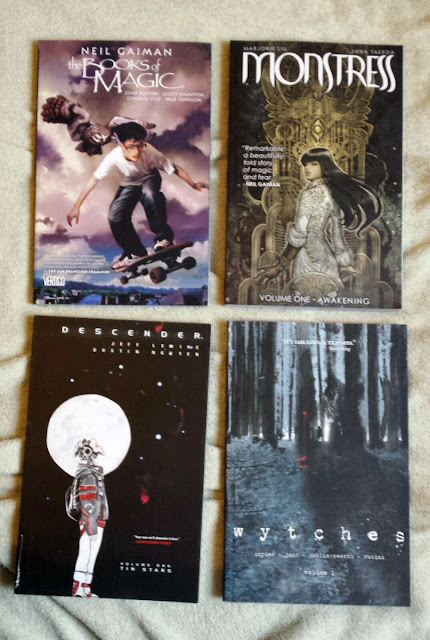 To start things off I picked up some trade paperbacks of Wytches, Descender and Monstress. 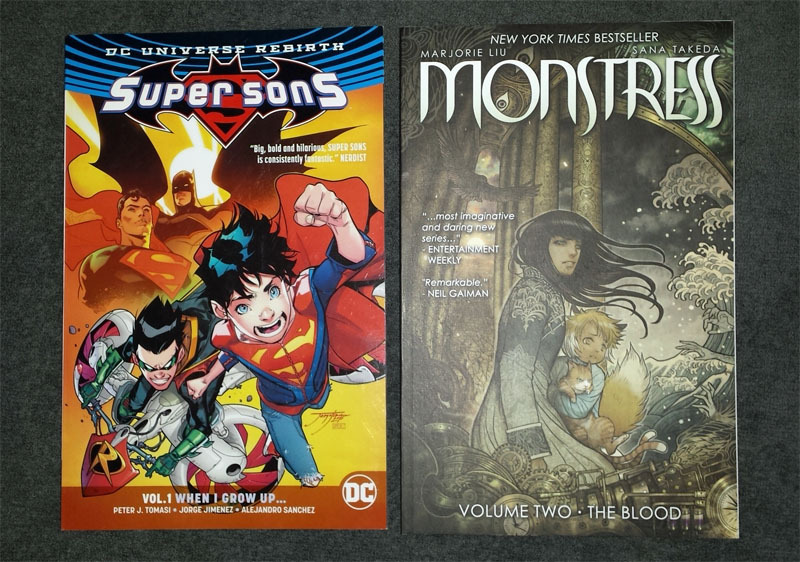 I also got copies of Super Sons and the second volume of Monstress (based solely on the artwork after paging through the first volume). I guess my fledgling collection is all set for me to give this a try. Hopefully it doesn't turn into another expensive obsession! I almost forgot that a new Peter F. Hamilton book is coming out in September. I'm really looking forward to this one. It sounds like it will have everything I love in SF and then some. Definitely remember to add this one to your wishlists! 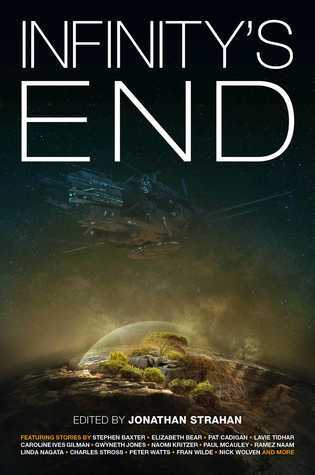 An alien shipwreck is discovered on a planet at the very limits of human expansion – so Security Director Feriton Kayne selects a team to investigate. The ship’s sinister cargo not only raises bewildering questions, but could also foreshadow humanity’s extinction. It will be up to the team to bring back answers, and the consequences of this voyage will change everything. Back on Earth, we can now make deserts bloom and extend lifespans indefinitely, so humanity seems invulnerable. We therefore welcomed the Olyix to Earth when they contacted us. They needed fuel for their pilgrimage across the galaxy – and in exchange they helped us advance our technology. But were the Olyix a blessing or a curse? Many lightyears from Earth, Dellian and his clan of genetically engineered soldiers are raised with one goal. They must confront and destroy their ancient adversary. The enemy caused mankind to flee across the galaxy and they hunt us still. If they aren’t stopped, we will be wiped out – and we’re running out of time. Even though the blog has been on an involuntary hiatus for the last month and a half (damn you reading slumps and work stress!) I still kept acquiring books. Although I might have shared some of these on Twitter I never got round to doing a proper post on the blog. So here are the latest (and some late!) additions to my shelves. Way back in April I ordered these from Reader's Warehouse. I've read the Witcher short stories and want to try out the rest of the novels. These were going for about half of the normal retail prices so I HAD to pick them up. 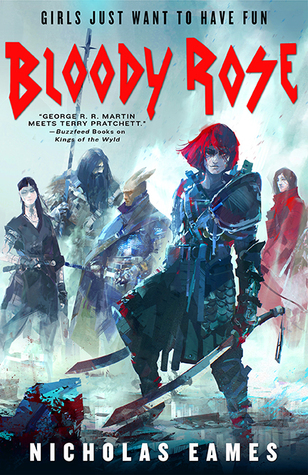 I also want to try out some more of Jim Butcher's work and a new series sounded like a good place to start. I have also been fortunate enough to receive some books for review. From Jonathan Ball Publishers I received these amazing books. I'm not sure where to start. They all looks so good. And to finish things off, I squeed aloud when I received this package from Pan Macmillan SA. The arrival of the latest Neal Asher at your doorstep is an instant antidote to the most dreadful of weeks! Reviews should be up soon*!